Men have different skin and hair care needs, so we have designed services exclusively for men that take into consideration their unique grooming, relaxation and therapeutic essentials. Whether you are in the corporate world, a tradesman, a student or retired, it is important that your look has the versatility to take you from the rigors of your week days to a casual weekend. 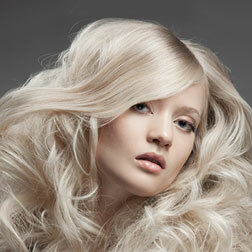 Our stylists will create a look to match your own unique style. Let us groom your beard like the beautiful symbol of manliness it is. Take 10 years off in 10 minutes. Our natural-looking color blends grey away. Focuses on realigning deeper layers of muscle and connective tissues to release tense, contracted areas and improve mobility, postural problems, chronic pain and repetitive strain injuries. Our spa waxing services gently remove hair and leave skin comfortable and smooth. Results last 4-6 weeks and contributes to finer, less dense regrowth. Pricing depends on areas to be waxed.